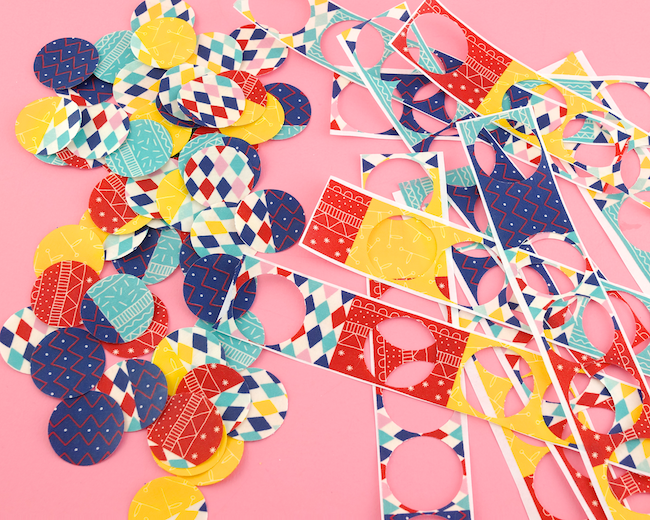 Omiyage Blogs: New Washi Tape Sticker Trick! New Washi Tape Sticker Trick! 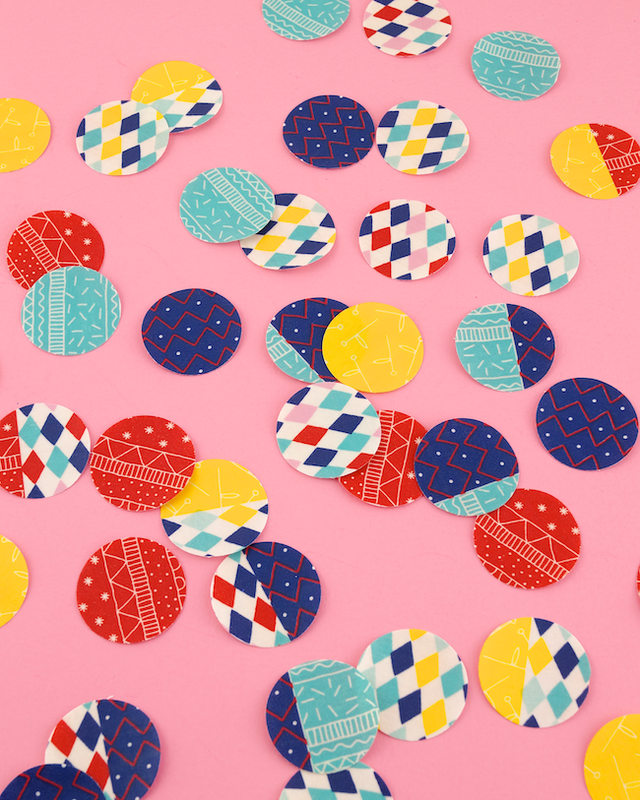 Washi tape stickers are my favourite! (If you've been reading for awhile, you'll notice that lots of things are my favourite!) 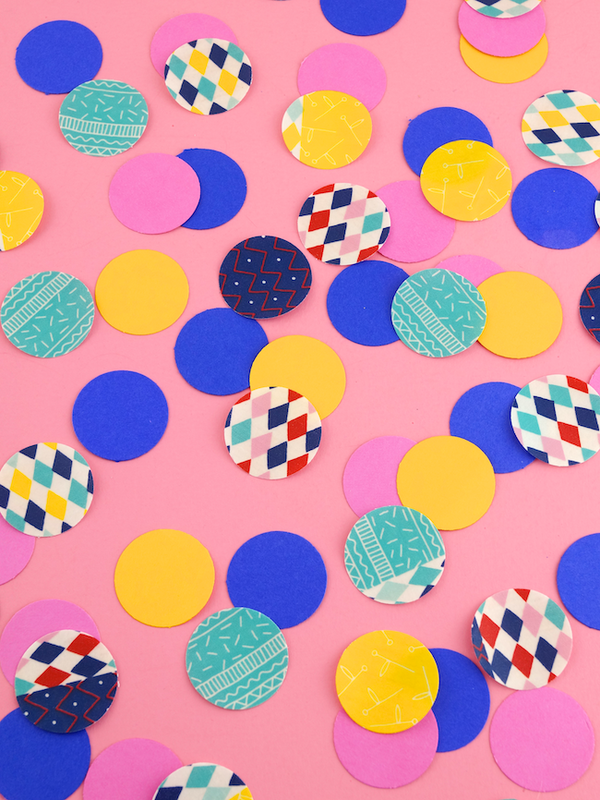 I love the versatility of washi tape and being able to transform tape into stickers is a huge part of that. But it's always really irked me that craft punches chew up washi tape covered backing papers* so I've always just hand cut shapes. Time consuming... but if you love washi tape stickers, that extra time (usually) feels worth it. But then, last week, I had an aha moment and now punching stickers is so simple! 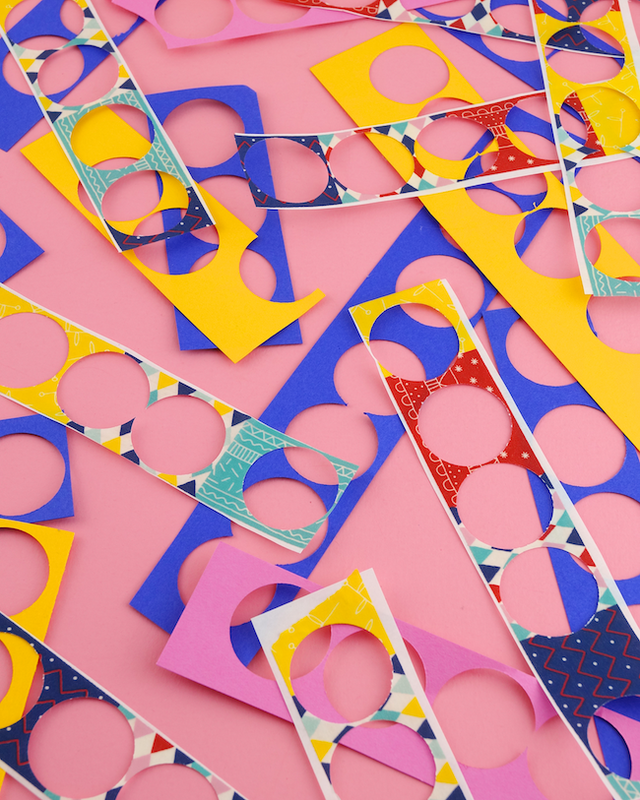 Layer a piece of card stock under your washi tape covered backing paper*, then punch your shapes, making sure that the punch cuts through the card stock first. 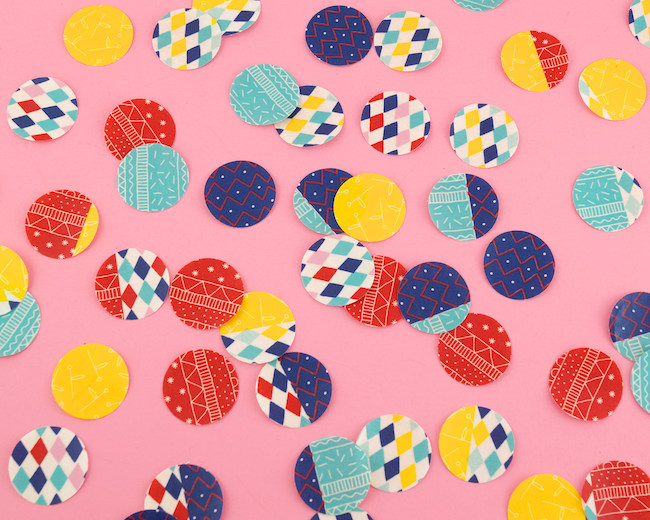 Bonus - colourful card stock confetti!